Brazil's primates are at especially great risk, as they continue to be killed, captured, and subjected to habitat losses. The rainforests of Brazil are home to numerous mammal species, including several endemic ones. Losses of forest cover in Brazil render many of these mammals susceptible to a range of environmental threats. Brazil’s primates are at great loss as they are killed, captured and subjected to habitat loss. The following are the critically endangered mammals of Brazil. The Superagui Lion Tamarin (Leontopithecus caissara) is a small monkey in the Callitrichidae Family of primates. The monkey inhabits the coastal forests of southeastern Brazil. The forests are a part of what remains of the Brazilian Atlantic Rainforest. The Superagui Lion Tamarin has a distinctive golden-orange colored body which is in contrast with its black head, legs, chest, mane, and tail. The monkey has a silky fur, a long tail and claw-like structures on the end of its long figures for a better grip on trees. The monkey is quite social, and lives in groups of between 2 and 11 members. The monkey practices monogamy and cares for its young ones. Weaning takes place after 12 weeks, and male and females reach sexual maturity at 24 and 18 months respectively. The monkey feeds on nectar, fruit, insects, small invertebrates, gum, and flowers. Only an estimated 400 individuals of the species exist, and it is susceptible to threats due to its narrow population range. Major threats to the animal include deforestation and human encroachment. Part of the areas where the species is found is protected in the Superagui National Park and Jacupiranga State Park. The Kaapori Capuchin (Cebus kaapori) is a capuchin monkey in the Cebidae Family of primates. The monkey is endemic to Brazil, and it inhabits dense forests along the Atlantic Coasts of the Brazilian states of Maranhao and Para. The Kaapori Capuchin is omnivores, and its diet includes small insects and invertebrates, fruits, seeds, leaves, and flowers. The females give birth once every 2 to 4 seasons to a single offspring. The monkeys also engage in social grooming. The monkey continues to face threats such as hunting, deforestation, and habitat degradation and it is listed as critically endangered. A small population has been recorded in the Gurupi Biological Reserve and the Lago de Tucurui State Environmental Protection Area. The Black Bearded Saki (Chiropotes Satanas) is endemic to Brazil’s eastern Amazon Basin. The monkey is characterized by thick dark hair and a full beard. Its coat is mainly black colored with yellow-brown with dark brown highlights on the back and shoulders. The black-bearded Saki has strong jaws to break fruits, and it also feeds on seeds, insects, and soil. The monkey reaches sexual maturity four years after birth, has a five-month gestation period and mostly lives for over 18 years. The Black Bearded Saki inhabits tropical rainforests, mainly in proximity to rivers and streams. Listed as critically endangered, the monkey faces some threats including deforestation, development infrastructure, and hunting. The monkey is found in the Gurupi Biological Reserve, although the reserve’s integrity continues to be undermined by illegal land settlers and illegal logging. The Northern Muriqui (Brachyteles hypoxanthus) is a Muriqui species in the Atelidae Family, and is also only found in Brazil. The species inhabits regions of Atlantic coastal forests in the Brazilian states of Bahia, Minas Gerais, Rio de Janeiro, and Espirito Santo. The monkey is characterized by a thick grayish-brown coat which has a yellow tinge in males. The monkey feeds on fruit and leaves and flowers, buds, and bark. The species is mostly active during the day and lives in groups of 8 to 80 members. Females give birth to one offspring between May and September. The species has a small population which is affected by hunting and deforestation. Isolated groups of the species exist in several protected areas, such as Caparao National Park and Mata Escura Biological Reserve. 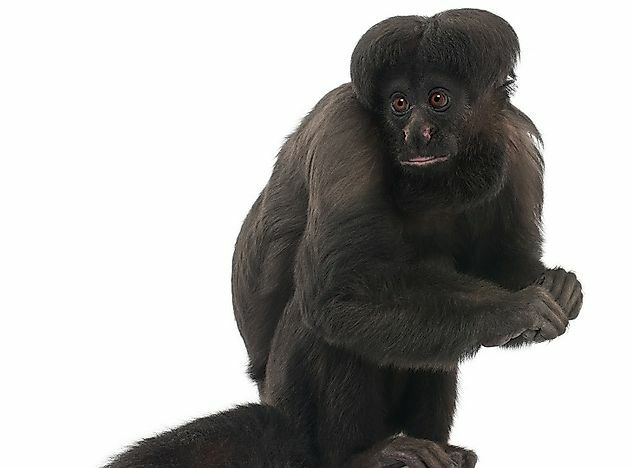 Other critically endangered mammals in Brazil include the One-Striped Opossum (Monodelphis unistriata), the Golden-Bellied Capuchin (Cebus xanthosternos), and Barbara Brown’s Titi (Callicebus barbarabrownae). Some environmental issues in Brazil have undermined efforts for sustainable development. Construction of roads, urbanization, tourism pressures, hunting, and logging alike in Brazil continue to impact the country’s many mammal species.